Birthdays, Rehearsal Dinners, Graduations, Retirement, Going away, Book Clubs, Business luncheons, all special events. Come enjoy the tropical tastes of Cuba! 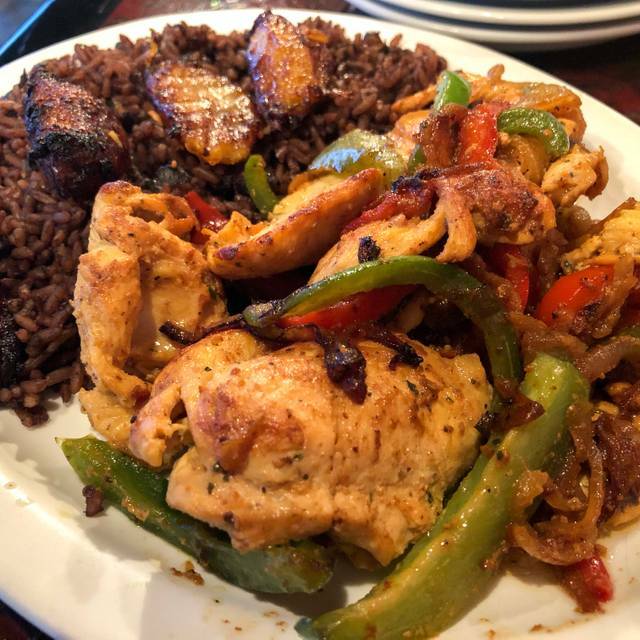 Authentic home style Cuban cuisine where our customers feel as though they are eating home cooked meals that would be found in Grandma's kitchen. 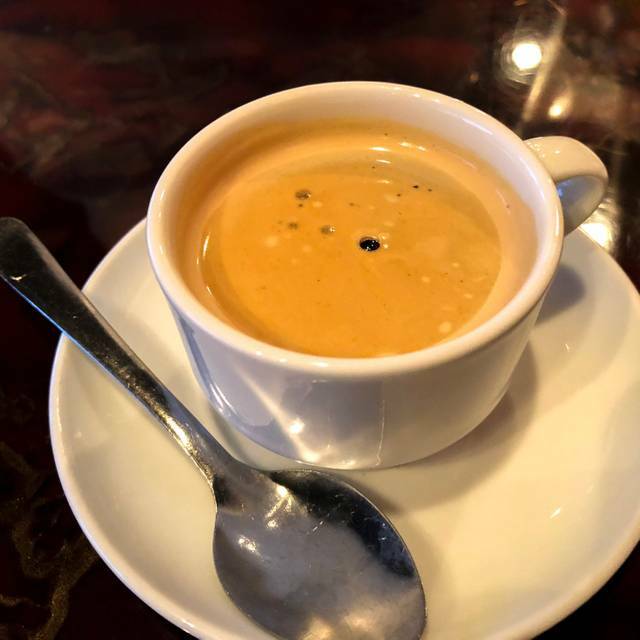 Cuba de Ayer is an ideal escape for a delicious cup of Cuban coffee, a Cuban grilled sandwich, followed up by something sweet like a slice of tres leches cake. mmm.... Bring your friends, family or come alone-strangers are simply friends we've yet to meet. Sliced bread toasted with butter or garlic sauce. Stuffed potato with beef, lightly breaded (1). Beef, Chicken, or Cheese Turnover (1). A sampler platter of roasted pork, croquettes, fried Yuca. stuffed fried green plantains(3) with ground beef or shredded beef. Shrimp (5) in lemon garlic and white wine sauce. Large shrimp sauteed with our very own lemon garlic sauce served with fresh avocado and drizzled in sauce. Lettuce, tomatoes, cucumbers, onions, radish, green and red peppers. Lettuce, tomatoes, cucumbers, onions, radish, green & red peppers and grilled chicken. Organiz baby spinach tossed in our very own garlic vinaigrette dressing mixed with avocado, sliced red onions, cherry tomatoes, red and green peppers. 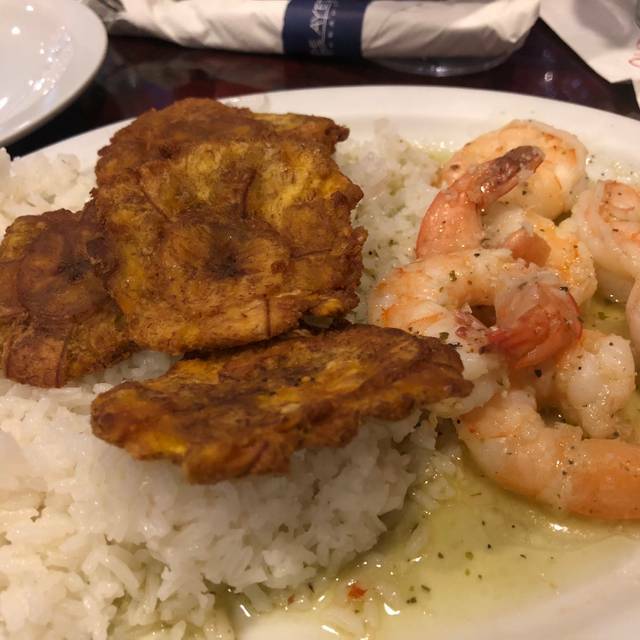 Most main entreés are served with a choice of White Rice and Black Beans (Substitute Red beans for $0.95) or Moros y Cristianos and with a choice of maduros or tostones unless otherwise indicated. Black beans (available Vegetarian) and Moros y Cristianos are cooked with pork. Lunch served Tues-Fri 11:30-3pm. A delicious typical Cuban entrée. Shredded Beef in a Cuban tomato based sauce with garlic, onions, red and green peppers. Traditional Cuban roasted Pork, Marinated with bitter orange juice, lemon juice, garlic and pepper, dressed with onions. Cuban roasted Pork Marinated in "mojo criollo" (citrus marinade) dressed with onions. Marinated Cuban Style Steak, thinly sliced, Sautéed with onions. Seasoned Breaded Top Sirloin Steak, thinly sliced and fried. Thinly sliced pieces of marinated steak, cooked with sautéed onions, green peppers & red peppers. Flank steak, shredded, then pan fried with onions, garlic and lemon. Beef Stew Meat with Potatoes slowly cooked in our own spices cuban style. Slowly roasted and tender eye round, draped in a savory gravy of its own sauce of tomatoes, onions, and garlic. Cuban Style Seasoned Ground Beef cooked with green olives, raisins, potatoes, and (non-spicy) spices. Fried Marinated morsels of pork. Marinated Pork Chops with sautéed onions. Yellow Rice and Chicken served on its bone with a choice of plaintains. Skinless chicken on its bone cooked with potatoes, white wine, herbs, and green olives. Grilled boneless chicken breast specially seasoned. Fried breaded boneless chicken breast specially seasoned. Pieces of chicken breast, cooked with sauteed onions, green peppers & red papper. Red Snapper fish fillet seasoned the lightly breaded and fried. Seasoned Rainbow Trout cooked on the grill with red and green peppers and onions. Shrimp in Garlic Sauce served with white rice, side salad, and a choice of plaintains. Salmon fillet dressed with a sauce made of mango chunks, scallions, cilantro, red peppers, and a sweet & spicey sauce. White rice served with black beans, yuca en mojo and maduros. Mixed and Seasoned Rice and Black Beans. Cuban Sandwich Hot pressed (baguette) with roast pork, baked ham, Swiss cheese, mustard and thin sliced pickle. Thinly sliced marinated steak, grilled with onions served on Baguette. Marinated roasted pork grilled with onions, served on Baguette. Our smooth ham croquettes served on a baguette. Grilled Chicken with lettuce, tomatoes, and mayonnaise served on Baguette. Breaded Chicken breast with onions, mayonaise and avocado slices served on Baguette. Served with French fries (American or Swiss). Fried served with French fries. Served with White rice or French Fries. Mini bowl of our roasted tender eye round, draped in its own sauce served with rice maduro and beans. The good food is the main reason I come to this restaurant. I’ve been here twice previously, so I knew the food was good. Unfortunately, during this specific visit (it happened to also be Easter Sunday), the waiter made a mistake with my order. The waiter was pleasant and friendly, but seemed new or overwhelmed. As for the meal, both mine and my friend’s food was well-prepared and well-seasoned. This is one of my favorite places for the chicken and rice dish I get. Ultimately, we enjoyed our outing, so I will definitely be back! I have gone to a few Cuban restaurants in Maryland. Cuba de Ayer has the best food, atmosphere, and service. I chose this restaurant for my birthday. Cuba de Ayer was delicious as always. This was my friend’s first time and she loved it! 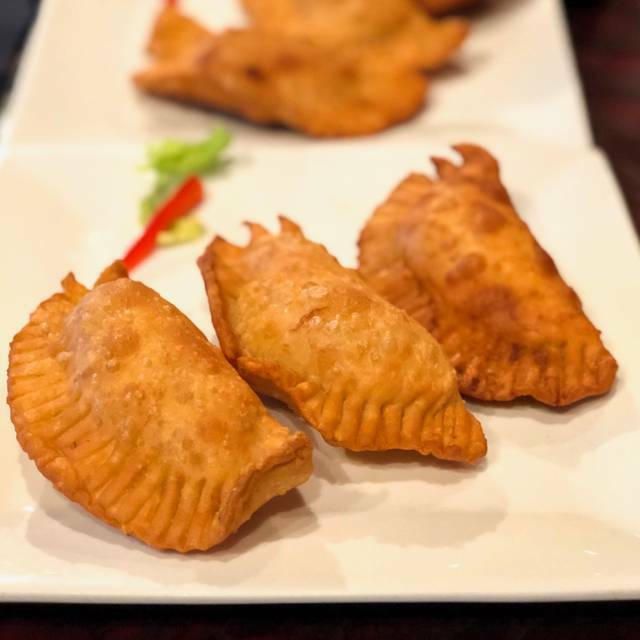 We started with the empanadas, which were a big hit especially with the special hot sauce. Next was the avocado & shrimp in garlic sauce. Heavenly!! Then we decided to try two dishes I had not had before: pollo empanizado and the lechon asado. Both were delicious, but I really liked the lechon asado. Such a flavorful dish!! We split both dishes so we could enjoy a little bit of everything. One of the best restaurants me and my wife have ever been to. We have bee. Going here for years. Everything is great there. Love this place. Good with or without kids -- but lately we like it because our toddler EATS! Great food. Really nice interior. Excellent menu choices, I want to go back and try more things. Roast pork, steak and shrimp was so good. Tres Leches was awesome. We love this restaurant for any occasion. The food is very good and the service is great. My fav is the vaca frita with crispy plantains and broiled Yuca! Love the food, and the service is friendly. We were a little disappointed during our last visit when we three couples at one table (we had requested separate checks) were told we could use only one coupon. I thought the food was absolutely fantastic. Very similar to Miami Cuban cuisine. I think for the size of the restaurant they should change the bathrooms to unisex? But overall, excellent ! Service and food are usually very good. This time service was not as fast and my food was not as expected. Love the place, great food and ambience....owner always looking for ways to make your experience exceptional! Muy bueno!!!! Once a week is my goal! The crown Jewel of Burtonsville. Always enjoy the shrimp and avocado appetizer that must be accompanied with bread for mopping up that sauce. My son loved the oxtails. Teddy was a very good and attentive server. Dining at Cuba De Ayer was great. I haven't been in over a few years, but the expanded location was definitely nice to see as the restaurant should grow as it serves up delicious latin food. I will say that the chicken noodle soup bowl was HUGE. However, it lacked some of the flavors I typically enjoy. The steak was solid, but the drinks were definitely on point. 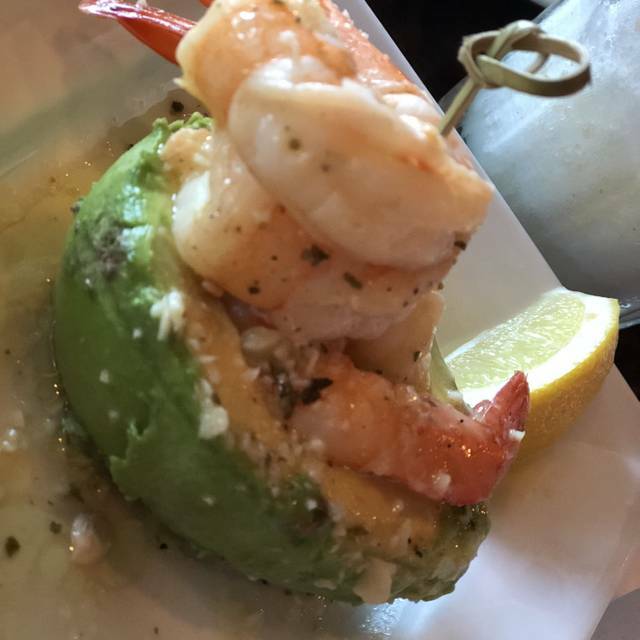 If you get nothing else at Cuba de Ayer, get the shrimp and avocado appetizer! The components meld effortlessly and the sauce is amazing. Make sure to get one order of bread to dip in the sauce. The tuna special was quite tasty. The trout was adequate, a little dry, nothing special. The pork dish called something like Perbil was delicious. The sweet plantains are not the best we've had. I expect them to be melt in your mouth gooey; these were not soft enough. All portion sizes were above average. The cocktails were yummy. Food & drinks are always fabulous!! Highly recommend Cuba de Ayer!! Love Cuba De Ayer!!! One of my favorites and go to’s! Never fails! Never Disappointed! The Best Cuban in the DC area! Amazing place, exquisite food, excellent prices. Would love to go back at least twice a month! Everything during my visit was great! The service, quality, and ambiance were perfect. Will be back and will definitely recommend this restaurant. We came as a group for a birthday/going away celebration for a coworker. All the food was good. Two of the people in our group didn’t like their meals but they were easily and quickly replaced. Otherwise everyone was more than satisfied. 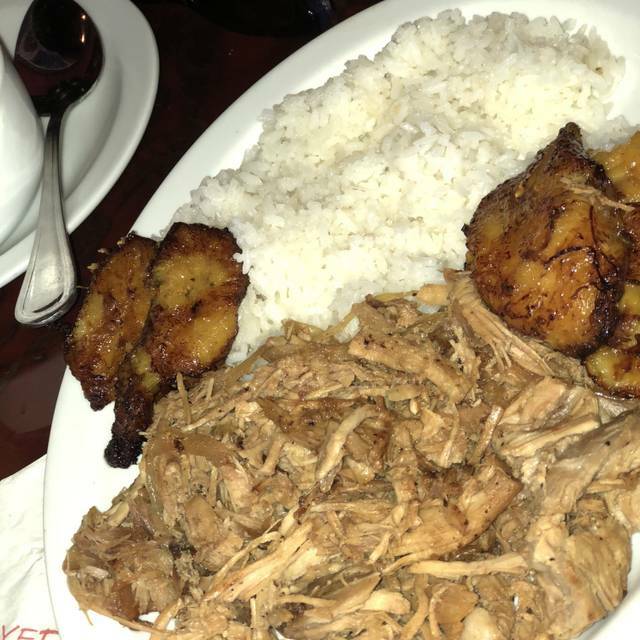 Cuba de Ayer is probably one of the best restaurants in the DMV area. Food quality is always great, service wonderful, and just the atmosphere is relaxing. Cuba de Ayer lives up to everything you would expect from a Caribbean/Cuban restaurant. The ambiance is colorful and inviting although a bit loud for conversation. I think the noise level actually reflects the enjoyment of the customers. The food is Excellent, service is great and the place is hopping with happy, fun customers! We will definitely return and recommend this restaurant. Dinner was great as usual, no complaints. Minor mistake with my order was corrected quickly and with no drama. Great place for a good meal! I’ve gone to Cuba de Ayer for many years and this was the first time I was truly disappointed. We had reservations but we’re seated at a two-too near the front window. It was so cold that all three of the diners seated next to window had to eat dinner with their coats on! Service was terrible that night. And the maduros were over cooked. It was truly disappointing. I had been numerous times but it was my friend's first time and she loved it. The decor and overall ambience was lovely. Our sever was awesome and the food was delicious!!! I would definitely go back. This restaurant is disappointing. The appetizers (spinach salad and soup) where way too large, especially compared to the entrées. We were only half finished with our appetizers, when the server brought our entrées—we had to send her back with them. When we finally got our entrées, they were cold. The chicken fricassée, more bone than meat, seemed to be composed of left-overs from the chicken soup, overcooked and old. The dish was supposed to come with olives, but there was only one small olive. 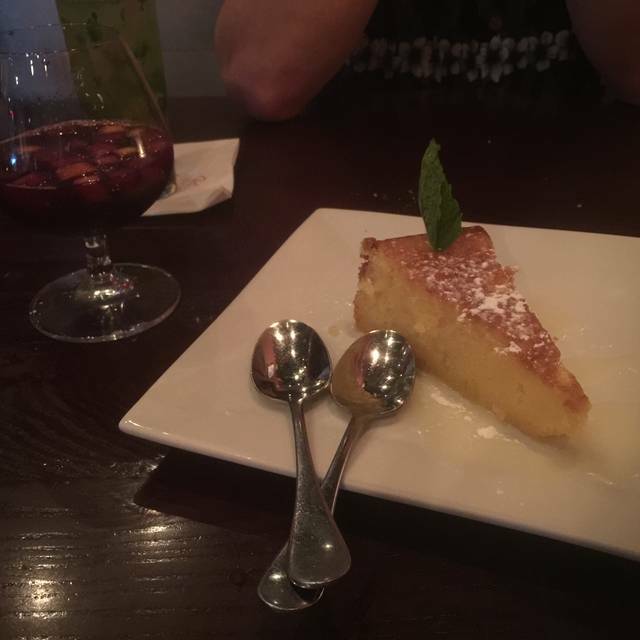 The dessert was supposed to include merengue, but there was no sign of it—just sponge cake with some cream on top. The loud music inhibited our conversation. It was a wonderful experience. We went there to celebrate my daughter's birthday and they were very welcoming. They displayed excellent customer service to our guests and strived to accommodate every request. 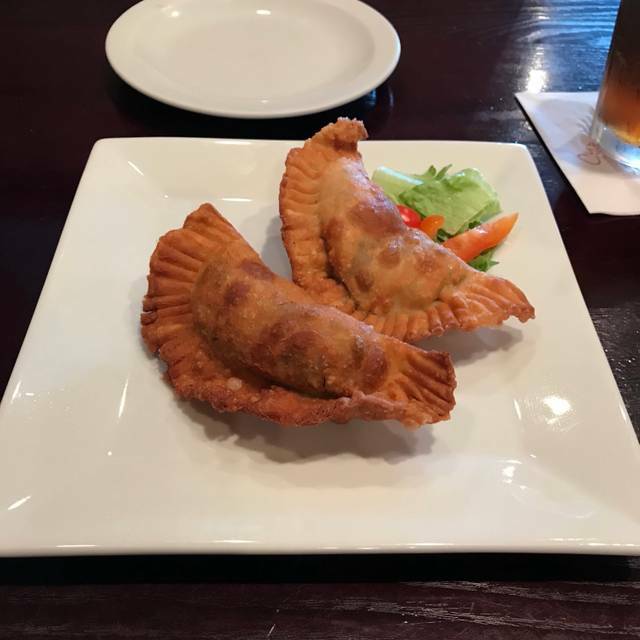 We will definitely be going back for some delicious Cuban cuisine. I already have recommended Cuba de Ayer to at least 10 people! My experience was most enjoyable. For dinner I savored every bite of the oxtail with black beans and rice, and sweet plantains. Can you say tender and melt in your mouth delicious!!! The meal was flavorful and service was gracious. I'm planning to go back next week for lunch. Can’t say one bad thing about dining here. Everytime service is fast food is always outstanding. The food was amazing! I had the Caribbean Salmon, which was incredible! Had so much flavor, with just a hint of spice (not spicy though). So flavorful! A really great dish! It was a recommendation from our server, and she led us right! We loved this place! The service was outstanding. Michelle was such a good waitress. The food was really enjoyable- fresh and tasty. their homemade hot sauce was terrific(bought a bottle). Meeting a friend from Baltimore and we were looking for an affordable but good place that was in between dc and Baltimore. This met the bill- amazed how full it was early on a Friday night. We will be back! Cuba de Ayer has very wonderful and authentic cuban food. We have always had the best time when we go there. For those folks who require Gluten free, the majority of the cuban dishes are for you! I highly recommend it. I've been eating here for years and I have NEVER had a bad experience. 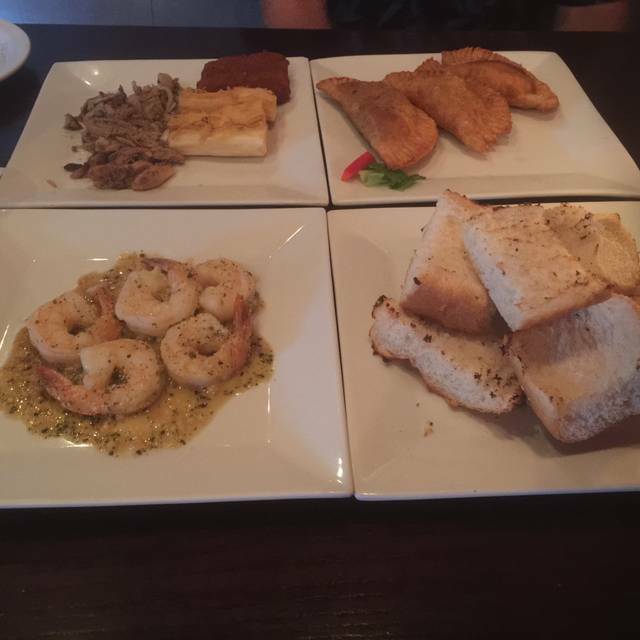 Delicious food and GREAT service EVERY SINGLE TIME!